Tuesday was the monthly Southern California conlanger meetup. As always, David J Peterson and I got together. David usually has his laptop with him, and leaves the laptop bag resting on the floor. 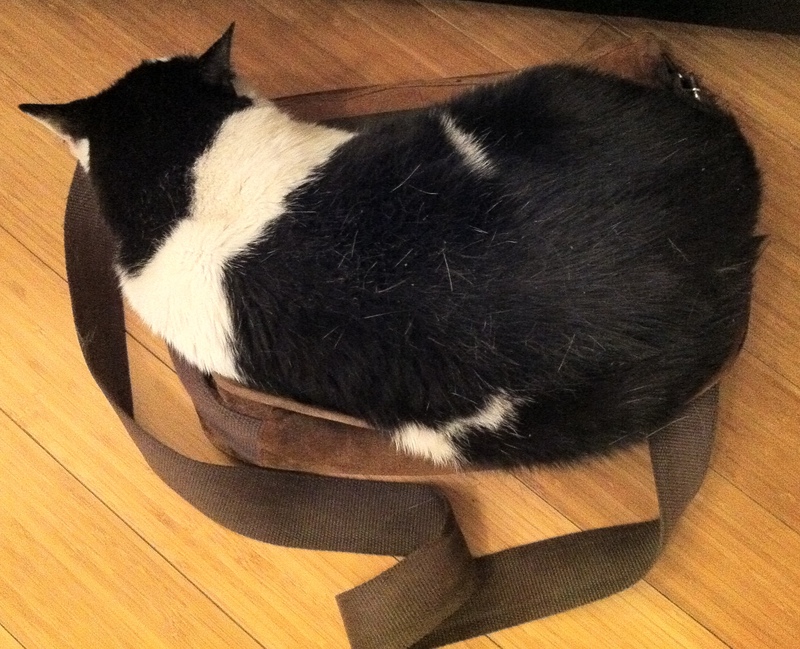 Groucho decided that the bag was on the floor just for him to sleep on.